Known affectionately as ‘Padres', chaplains have been integral to the Australian Army for a century. From the legendary William ‘Fighting Mac' McKenzie, whose friendships with diggers in the trenches of Gallipoli and France made him a national figure in 1918, to Harold Wardale-Greenwood, who died caring for the sick while a POW on the brutal Sandakan ‘death march' in July 1945, this book assesses the contribution of Australian Army chaplains in conflicts and peacekeeping missions, in barracks and among service families. 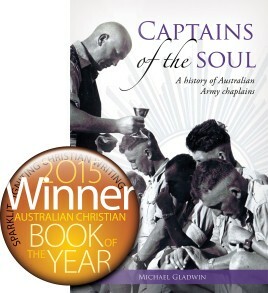 Drawing on a wealth of original archival material and little known published sources, Captains of the soul represents the first comprehensive account of Australian Army chaplains. It surveys their changing role and experience from the Great War of 1914-18 to the recent conflict in Afghanistan; charts the evolution of the Royal Australian Army Chaplains' Department across its first century; and addresses the significance of Army chaplaincy for Australia's military, religious and cultural history. It is a story of personal conviction and selfless devotion. Dr Michael Gladwin is Lecturer in History in the School of Theology, Charles Sturt University. A graduate of the Australian National University and the University of Cambridge, he has written widely on Australian and British imperial religious history. Michael’s previous work in publishing and public relations included several years with Defence Public Relations.A keen musician in his spare time, he lives in Canberra with his wife Lara and their two daughters. Winner of Australian Christian Book of the Year.